Designed to expand your range and capacity of your standard NOVA chuck for specific projects and applications. 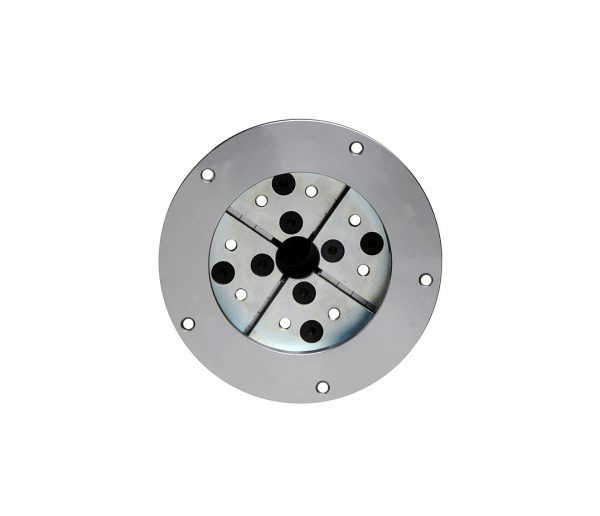 Fits to the NOVA JS130N 130mm (5″) Jaw Set to provide a strong and fast method for mounting of bowl blanks, offering a secure mounting of a faceplate with the quick convenience and power of a chuck. Strong mounting even with irregular sized wood and rough cut surfaces. Provides a better alternative to the wood worm screw which is only suitable for smaller bowls. Made from high tensile steel with screw hole positions. Comes with instructions.